was born in London in 1968. She was raised in Paris where her parent’s pursuits exposed her to the world of the arts. Her formal art education began at age of 15 at L’Academie de la grande chaumiere, L’Academie Roederer and ATEP Lecompte. Dissatisfied with her studies she moved to New York where she worked briefly in the film industry. In 1994 she discovered traditional academic training at the Minnesota River School where she met Patrick Devonas, a major influence on who she would become as an artist. 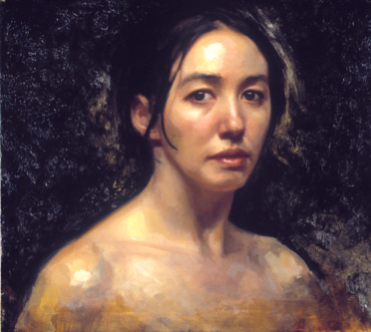 Lehman began studying at the Water Street Atelier in Brooklyn under Jacob Collins and Rick Piloco in 1996.